Vestland Classic offers maritime voyages with a difference – classic tours, full of nostalgia and far away from mainstream cruising. As a company, we want to set us apart from the big cruise lines. Instead of taking thousands of passengers aboard, like on a floating city, we would like to invite you to share our idea of a classic maritime voyage. 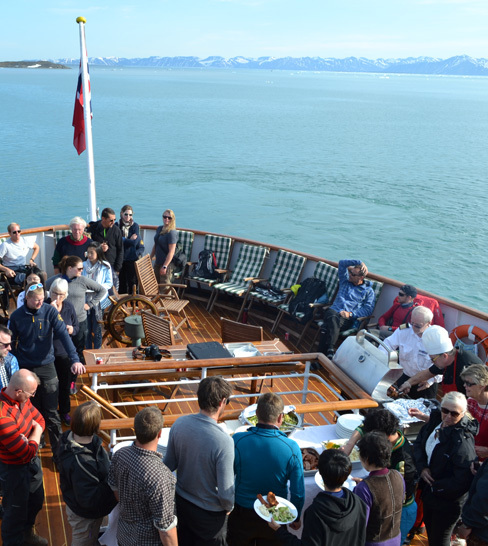 We offer travelling with MS Nordstjernen, historical passenger vessel that is beautiful example of bygone age, exploring Svalbard - one of the world’s largest areas of untouched nature. Now, you can explore Svalbard as well with our expedition yacht Sjoveien.